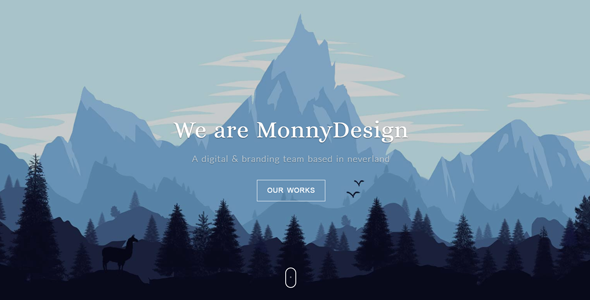 Monny Waves is one page site template developed with great attention to details. This template will help you to create an outstanding, elegant with a professional look online business portfolio. Monny Waves can be used for any business, corporate, portfolio, products, marketing, etc. It is very easy to setup and use. It combines modern popular layout with flexibility available by means of the new level of standardization. Monny Waves give you the possibility to make clean portfolio website! Easy to edit with your own content. - About Section with information about you/your team. - Services Section to show your services. - Work Section where you can present your work. - Contact Section - this section includes big Google Map and Contact form.